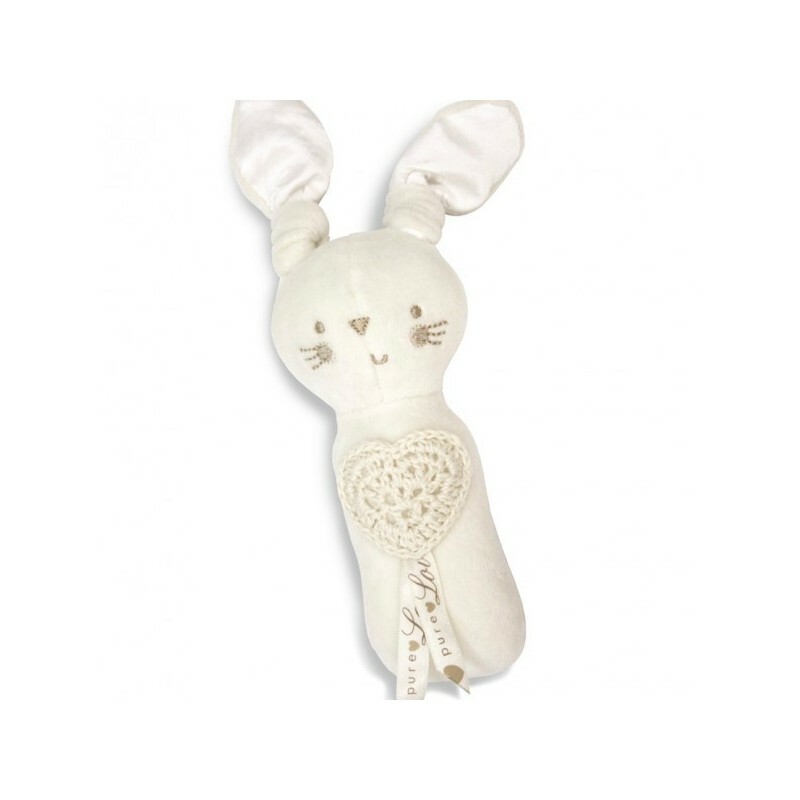 A squeaky bunny rattle with pure silk ears, embroidered face and a hand crocheted decorative heart. 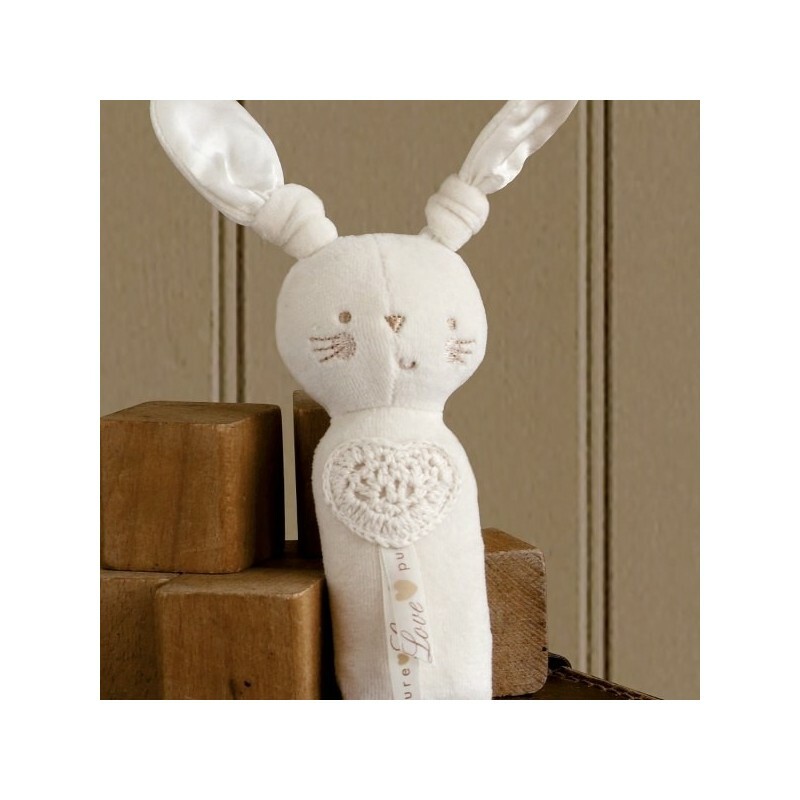 Suitable from birth, makes an ideal first toy. Comes with a recycled hanging card. Organic Cotton is grown without the use of herbicides and pesticides, minimising the use of chemical pollutants in our water, air and soil. Tested to European safety standards. 18cm x 5cm. 76% Certified Organic Cotton / 24% Polyester, 100% Recycled Polyfill Polyester filling with 100% Silk trim. 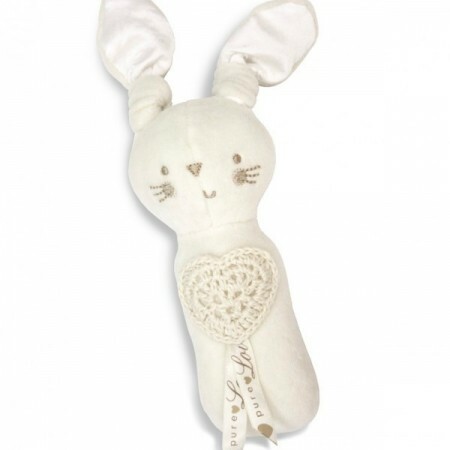 Browse our other baby toys. So soft and luscious, I can't wait to give it to my baby cousin. Definitely recommend. He is tiny though!